The development of HTML into the HTML5 began in 2004, but only in 2007 the Web Hypertext Application Technology Working Group (WHATWG) started to make contributions to the specifications which are not supposed to be completed until 2020-2022. The most recent specification is available for review as the HTML5 Working Draft and the HTML5 Editor’s Draft and an alternative edition HTML5 – A technical specification for web developers as well. While working out the specification, WHATWG focuses on several main points such as to make it more detailed avoiding reverse engineering, to make the technology backward-compatible and the Document Object Model (DOM) work with the standards and also to implement only proven to work technology. The project is in progress currently but some mentioned points are already included. 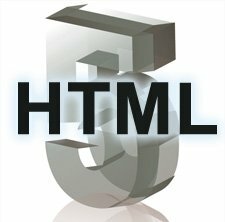 HTML5 contains a big number of innovations and updates related to the doctype, character set, language valued declaration, structure, scripts name, multimedia (audio and video features), gradient displays etc. With the HTML5 updated structural and sectional elements, Divs should be added to HTML code at least. The specialists agree that HTML5 has improved certainly within the last several years, but still there is a big deal of obstacles to be overcame and ways to be updated as vendors cannot find a common language on all aspects concerning its standards. Another acute point is the language compatibility with Internet browsers. Although most of them are now HTML5 and CSS3 support oriented, the leading position in HTML5 accessibility occupies Google Chrome, the second place belongs to Mozilla Firefox and then come Internet Explorer 9, Safari, Opera and previous versions of Internet Explorer. One more useful resource is ”When can I use…” which provides compatibility tables, browser comparison and an index which includes feature support matrixes for CSS, HTML5, SVG, JS and API. Each table of the resource is showing whether the particular feature or element is supported in a certain browser or not. Despite the entire specification is not yet completed, certain elements of HTML5 and CSS3 can already be used by the developers as they have already been adopted by browsers and user agents. In the future HTML5 will be focused on innovative coding practices, implementations of the newly developed convenient features and intentions of achieving a complete language compatibility with all existing browsers.